Chateau d’Aiguilhe Querre enjoyed its debut in 2000 after it was purchased by Emmanuel Querre and Gaetane Querre. Prior to their purchase, the estate was known as Chateau Haut Brisson, Cotes de Castillon. Desiring to re-brand the wines to consumers, they changed the label in 2002, to what you see today. The Querre family has been active in the Bordeaux wine negociant business since 1897, making their first vineyard purchase in 1909, when they bought vines in the Pomerol appellation. Today, aside from owning Chateau d’Aiguilhe Querre, they also own several other Right Bank properties. In Pomerol, they own Chateau Le Moulin and Clos Brun Mazeyres. In St. Emilion, they possess Chateau Patris as well as Chateau Fleur de Jean Gue in Lalande de Pomerol. The family also produces a few wines sold as Bordeaux Superieur. The 2.4 hectare Cotes de Bordeaux vineyard of Chateau d’Aiguilhe Querre is planted to 80% Merlot and 20% Cabernet Franc. The vines are old, with an average, 40 years of age. The terroir is clay and limestone soils and is located at the peak elevation of the Saint Philippe d’Aiguilhe plateau. The vineyard is planted to a vine density of 6,000 vines per hectare. To produce the wine of Chateau d’Aiguilhe Querre, the wine is vinified in small, temperature controlled, stainless steel vats. Malolactic fermentation takes place in barrel. The wine is aged in 60% new, French oak for an average of 14 months before bottling. Production is close to 1,000 cases per vintage. Chateau d’Aiguilhe Querre is better with at least 2-3 years of aging in good vintages. Young vintages can be decanted for up to 1 hour, helping the wine soften to help develop the aromatic character. Older vintages might need very little decanting, just enough to remove the sediment. Chateau d’Aiguilhe Querre provides its best drinking and should reach peak maturity between 3-12 years of age after the vintage. Chateau d’Aiguilhe Querre is best served at 15.5 degrees Celsius, 60 degrees Fahrenheit. The cool, almost cellar temperature gives the wine more freshness and lift. Chateau d’Aiguilhe Querre is best paired with all types of classic meat dishes, veal, pork, beef, lamb, duck, game, roast chicken, roasted, braised and grilled dishes. Chateau d’Aiguilhe Querre is also good when matched with Asian dishes, rich fish courses like tuna, mushrooms and pasta. Medium/full bodied, spicy, sweet and fresh, the black raspberry and red plum notes are spicy, with a bit too much oak at the moment. The oak needs to better integrate. A medium-bodied, forward and correctly made wine with a sweet cherry and cocoa center, soft textures and a note of thyme in the finish. Loads of fresh, sweet black cherries, licorice and espresso, coupled with round, soft textures and a forward profile. 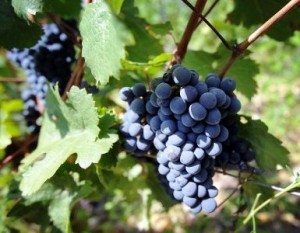 The wine was produced from a blend of 80% Merlot and 20% Cabernet Franc. Forward and already fun to taste, this easy to like, crowd pleasing wine offers lots of licorice, oak, sweet black raspberries and cherry. This is meant to enjoy in its youth. At about $15, this is a steal! Solid value Bordeaux wine. Already open, with a forward, soft, sweet black cherry, licorice and coffee bean character, drink this on the young side. Easy to drink and like, with its open, uncomplicated, licorice, black cherry, chocolate and coffee bean filled personality. This is not a wine to age. It's a wine to consume.